138 members have added this recipe to their cookbook. I love edamame!!! It is a great source of protein too! This was so easy and I love it! I love to snack and this is perfect for me. It takes time to get them out of the pod so I don't eat as much and these are very filling. 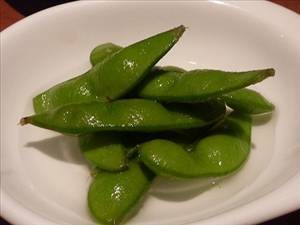 There are 147 calories in 1 serving of Sea Salt Edamame. Calorie break-down: 39% fat, 28% carbs, 33% protein.